KBB.com 5-Year Cost to Own Awards. Only 28,446 Miles! Delivers 37 Highway MPG and 29 City MPG! This Toyota Corolla delivers a Regular Unleaded I-4 1.8 L/110 engine powering this Variable transmission. Wheels: 17 x 7.0 Alloy, Urethane Gear Shift Knob, Trunk Rear Cargo Access. 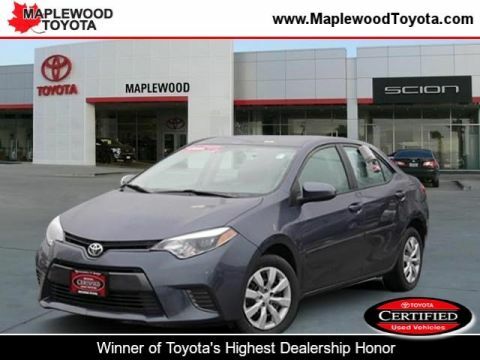 * This Toyota Corolla Features the Following Options *Trip computer, Transmission: Continuously Variable (CVTi-S), Transmission w/Driver Selectable Mode and Sequential Shift Control w/Steering Wheel Controls, Torsion Beam Rear Suspension w/Coil Springs, Tires: P215/45R17 All-Season, Strut Front Suspension w/Coil Springs, Steel Spare Wheel, Sport Fabric Seat Trim -inc: sport bolsters and sport inserts, Single Stainless Steel Exhaust w/Chrome Tailpipe Finisher, Side Impact Beams. * This Toyota Corolla is a Superstar! *KBB.com Best Buy Awards Finalist, KBB.com 5-Year Cost to Own Awards. 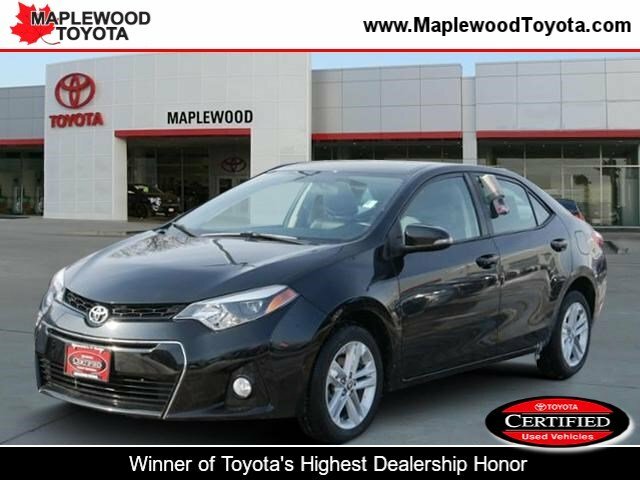 * Stop By Today *A short visit to Maplewood Toyota Scion located at 2873 Highway 61, Maplewood, MN 55109 can get you a tried-and-true Corolla today!